When I started teaching, I had to have baloons that were tuned and I began to loosen the various balafons that were bought through the marketplace and to vote. 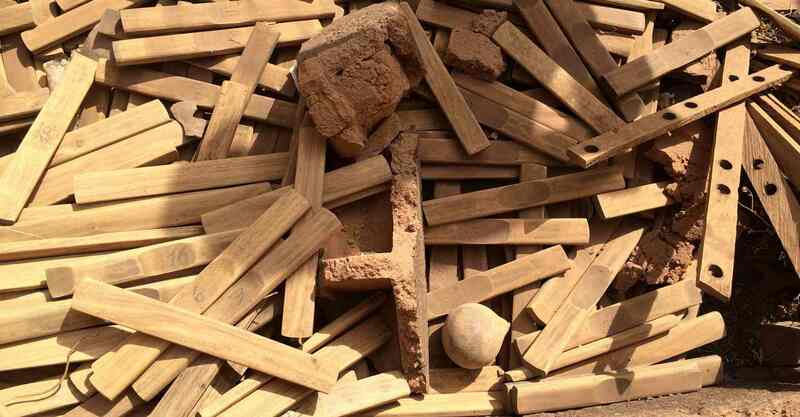 Gradually I gained more skills in this area and during my travels to Burkina Faso and Mali I gained extra knowledge that I used during restoration and maintenance. 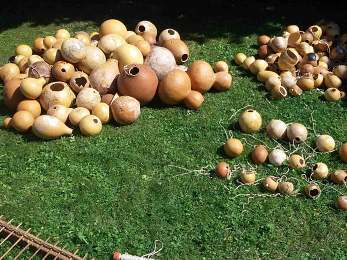 For example, in recent years I have learned a profession as a traditional repairer of balafons. I can now also make a new frame from the beautiful balafons that Youssouf Keita makes. 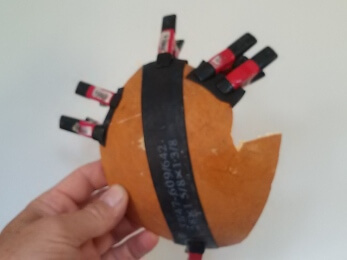 Youssouf always signs his own balafons with ‘Keita’ and has given me permission to provide baloons that were made with his sound bars and gourds, for which I made a frame, with the signature “Keita-Nas”! 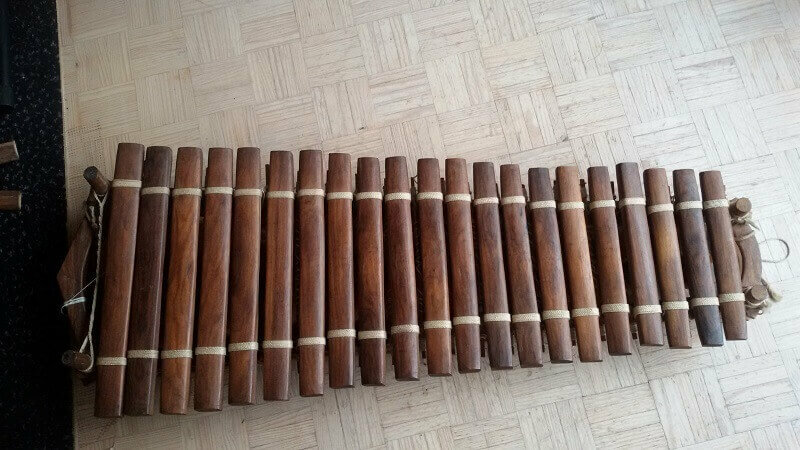 Do you have your balafon refurbished? 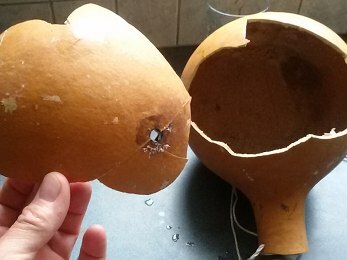 Is there a gourd missing or is there a broken one? Is the frame broken is there too much play? Are the sound bars no longer fixed properly? Noises? Do you want a new frame or a new suspension system? All possible questions can be submitted and in consultation a price is set. 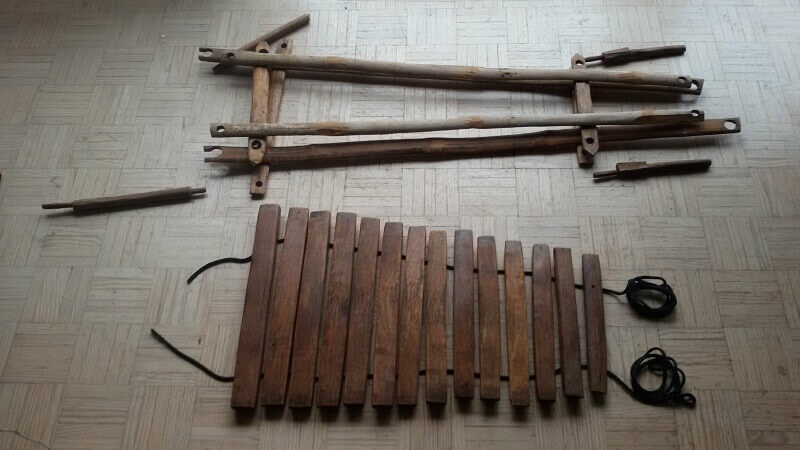 Do you only want advice on how to maintain or repair your balafon yourself? I also like to do that. All repairs take place in traditional traditional manner. 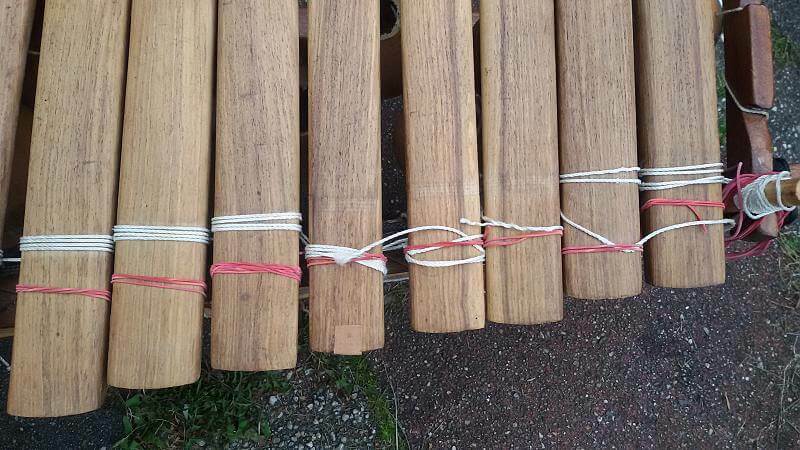 During the playing and transport of the balafon, the rope sometimes gets slack. 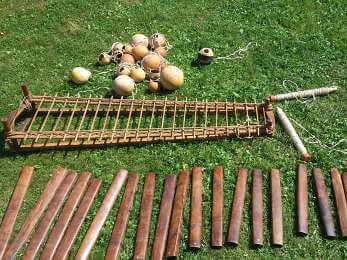 Noises or sound bars are unintentionally damped by other parts of the balafon they encounter. 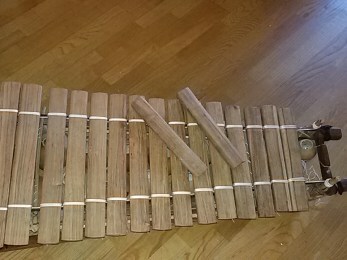 Let your balafon tighten so that it sounds great for a while. In some cases this can be done on location. 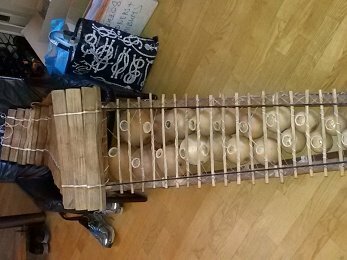 Sometimes the rope of the balafon is replaced, if it is too worn or broken or not (more) beautiful. I have several suitable rope types that qualify.